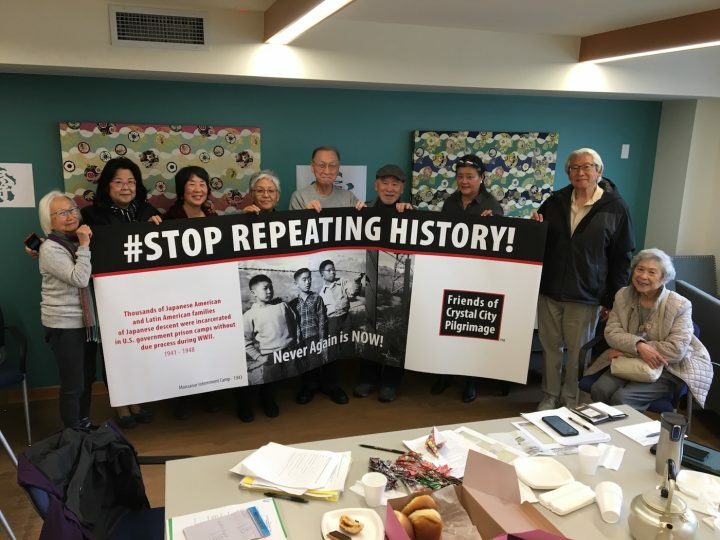 Satsuki Ina, who contributed familial artifacts to an exhibition on the detention of Japanese Americans, is also organizing a memorial and protest with 60 former incarcerees. 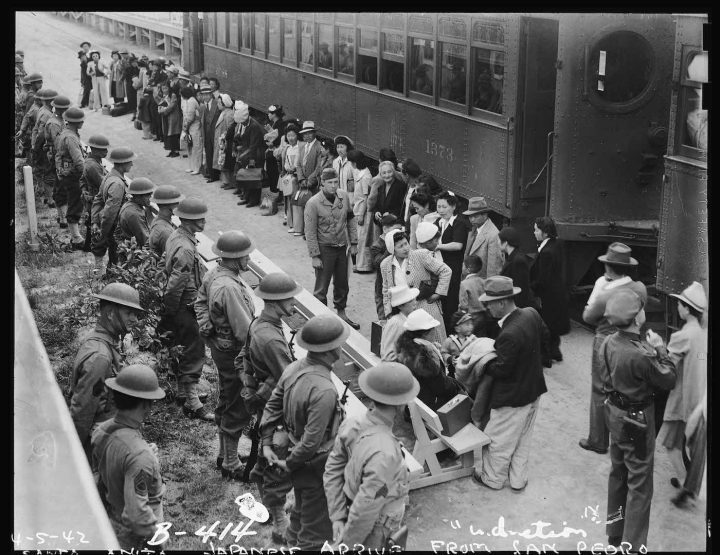 SAN FRANCISCO — In February 1942, a couple of months after the bombing of Pearl Harbor, President Franklin Roosevelt signed Executive Order 9066, forcibly removing people of Japanese descent from their homes on the West Coast and putting them in hastily built camps where they were incarcerated for the remainder of the war. The photo hangs in an exhibition at Futures Without Violence in San Francisco’s Presidio, Then They Came For Me: Incarceration of Japanese Americans during WWII and the Demise of Civil Liberties, which tells the story of the 120,000 Japanese Americans — two thirds of them born in the United States — incarcerated without due process. 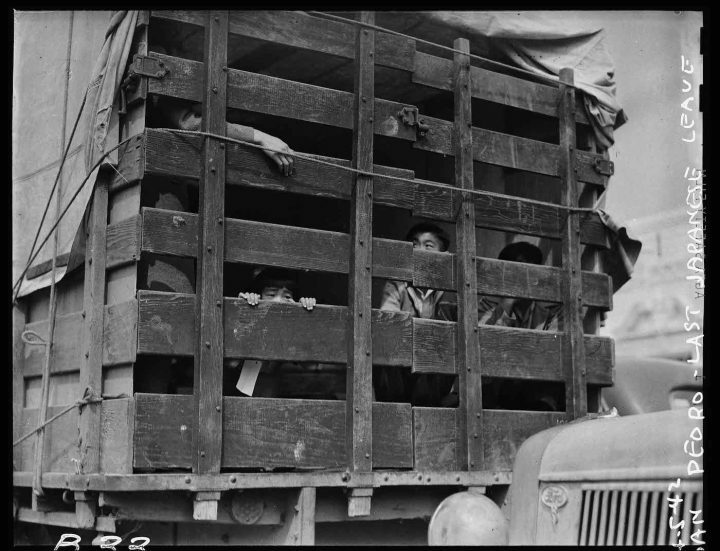 They had to leave their homes and businesses and take only what they could carry to one of 10 internment camps. The woman in Lange’s photo is Shizuko Ina. Because she and her husband, Itaru Ina, answered no to two questions on the government’s loyalty oath — about swearing allegiance to the United States and serving in the US military — they were sent to Tule Lake, a maximum security camp encircled by extra strands of barbed wire with 24 guard towers. Their daughter, Satsuki Ina, was born there. Later, she and her mother and brother were moved to a camp in Texas, officially known as the Crystal City Alien Enemy Detention Facility. 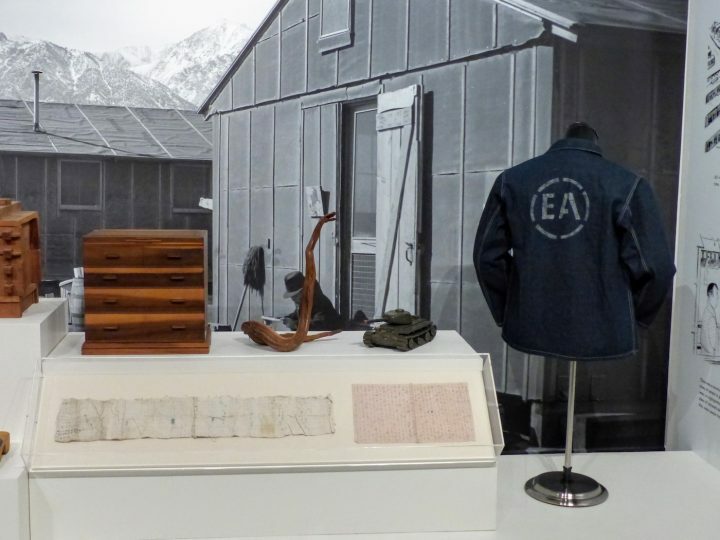 Ina loaned three artifacts to the Presidio exhibition: a letter her father wrote to her mother on his torn bed sheet and concealed in the waistband of pants to keep it from the censors; a toy truck he made for his son out of scraps of wood; and a denim jacket with “E.A.” on the back, inside a broken circle. The letters stood for “Enemy Alien” and authorities gave the jacket to her father after he spoke against being drafted and got sent to a prison camp in North Dakota. The jacket looks new because her father refused to wear it, Ina said. Ina, currently a 74-year-old psychotherapist specializing in trauma, has organized a pilgrimage to Crystal City on March 30 with about 60 fellow former incarcerees to stage a memorial. Furious and despairing about the actions of the current administration, the group will then travel about 40 miles down the road to Dilley, Texas, where they will be joined by others for a protest at the euphemistically named South Texas Family Residential Center, where children are being separated from their parents — like Ina and others who were separated from parents during World War II. Ina previously went to the Dilley center to assess children for trauma, and then testified against the private prison’s bid to be designated a child development center so they could keep children longer. She wants Japanese Americans to be engaged politically in what’s happening now. After holding them in the camp for several years, authorities tried to deport his family back to Peru, but the government didn’t want them, Naganuma said. They were sponsored by a church and ended up in San Francisco. Hiroshi Shimizu, who’s also attending the protest and memorial, spent a year and a half, from 1946 to 1947, at Crystal City. He says he’s a little apprehensive about going back but thinks it’s necessary to speak out. He says many Japanese who tried to do so at the time were considered disloyal to the US, and many people who were in the camps felt ashamed and didn’t talk about it to their families. Karen Korematsu, Fred Korematu’s daughter, didn’t find out about her father’s experience until she was in high school and a classmate did a report on it. Ina says her parents also didn’t talk about their experience. The Crystal Lake Pilgrimage will be taking place on the morning of March 30. The former incarcerees will tour the site and a Buddhist priest from San Francisco and a Catholic nun from San Antonio will offer blessings to those who died there. Then, the group will join hundreds of others for a protest at the detention center starting at 2pm. 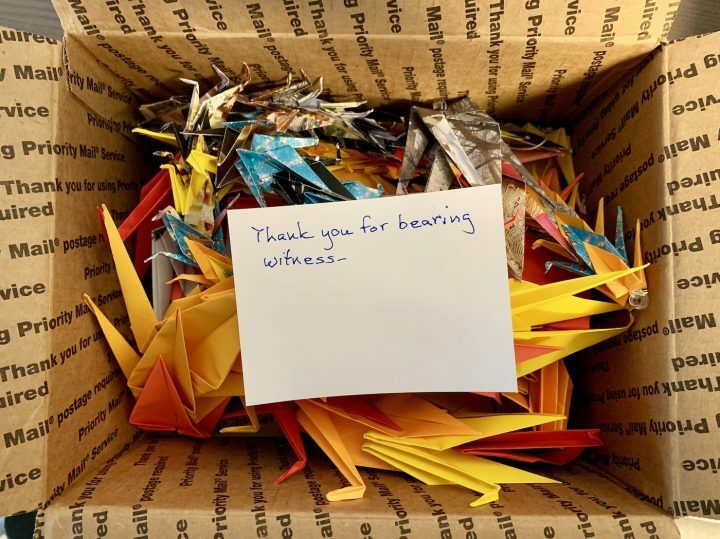 The group has asked for people to make and send 10,000 paper cranes (and have already received about twice that many), symbols of hope and peace, which they will hang on the fence around the detention center. The event will feature taiko drummers and speakers, including former incarcerees from Crystal City and young people who were brought to the United States without papers when they were children, and are under the immigration policy Deferred Action for Childhood Arrivals (DACA), which the Trump administration has tried to phase out. 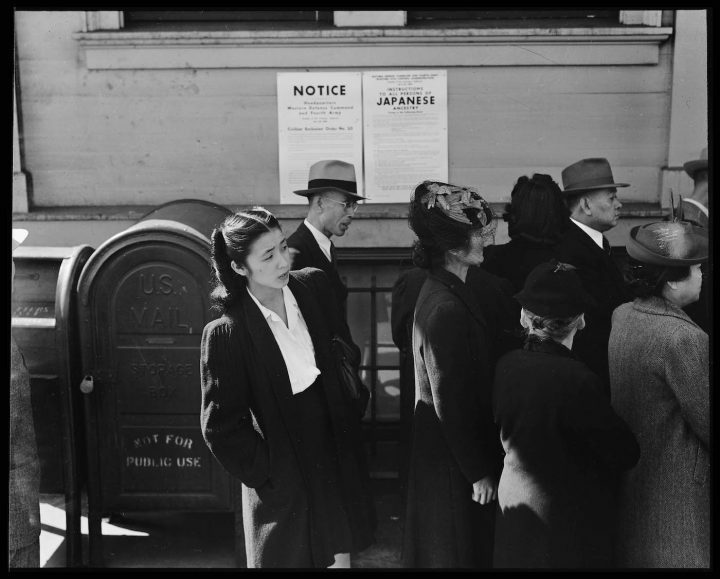 Then They Came For Me: Incarceration of Japanese Americans during WWII and the Demise of Civil Liberties continues at Futures Without Violence (100 Montgomery St, San Francisco) through May 27. 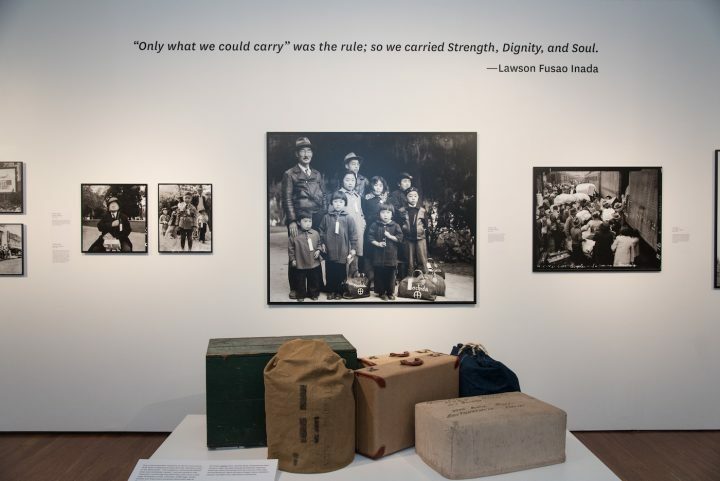 The exhibition is presented by the Jonathan Logan Family Foundation in partnership with the National Japanese American Historical Society and J-Sei.